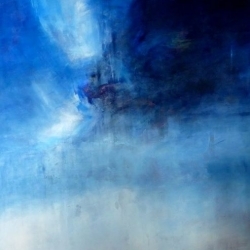 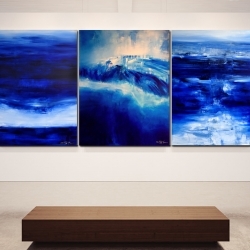 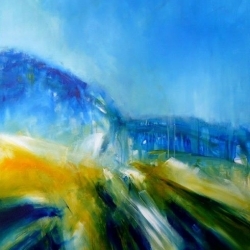 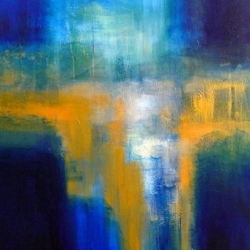 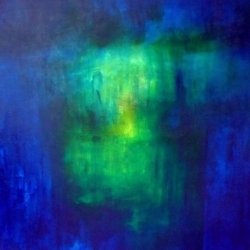 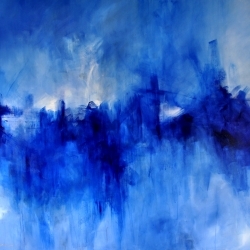 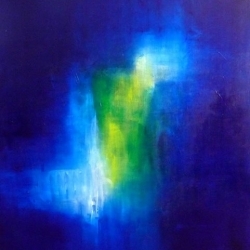 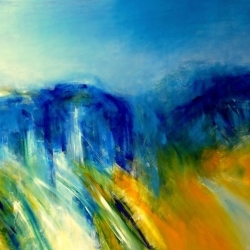 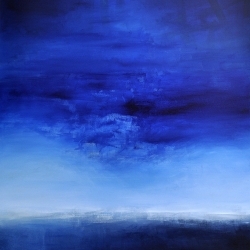 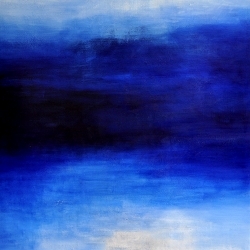 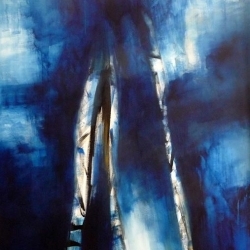 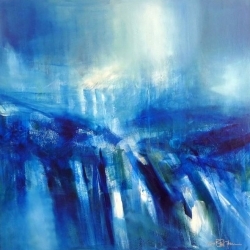 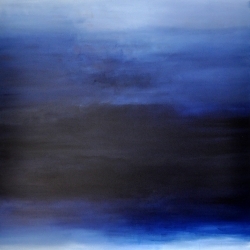 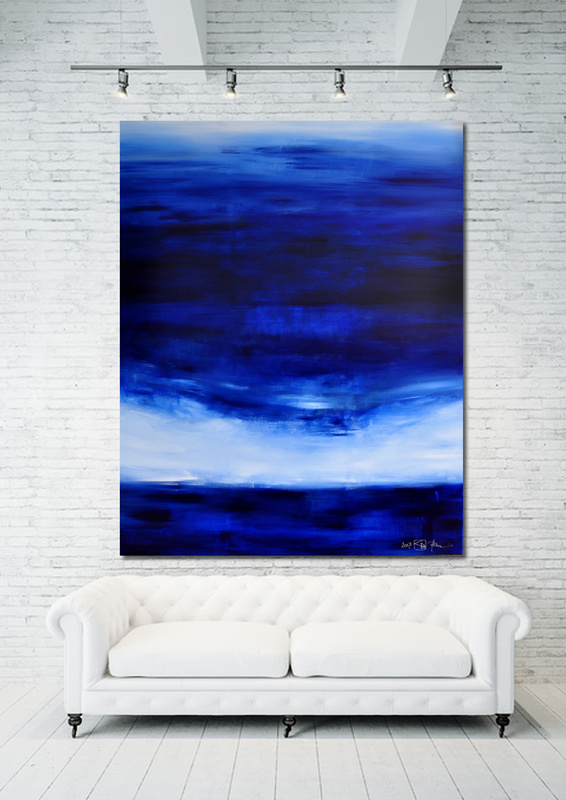 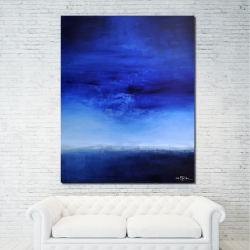 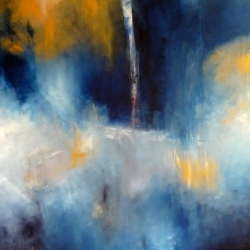 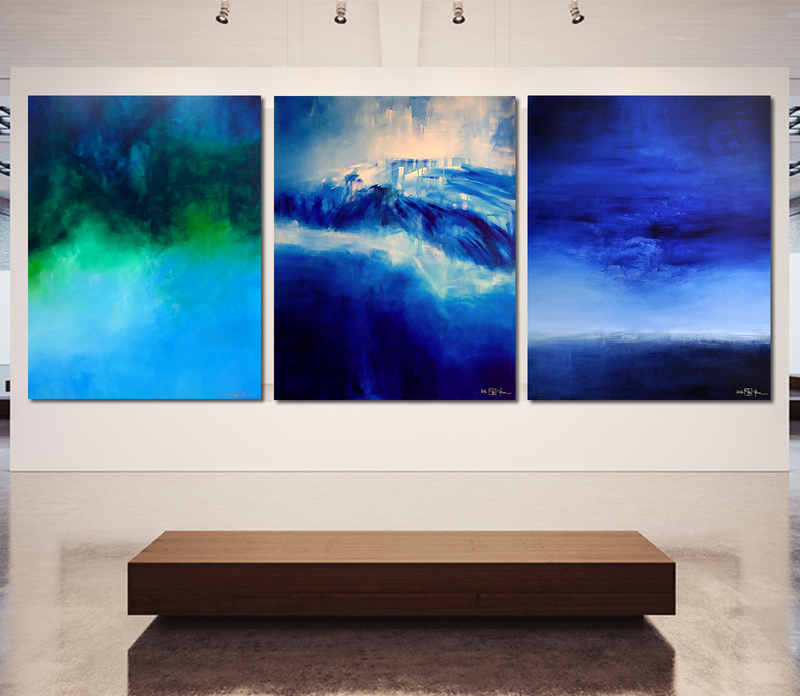 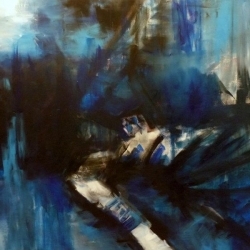 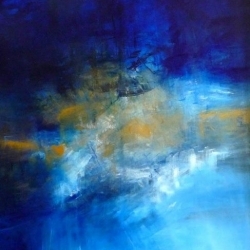 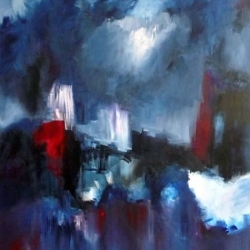 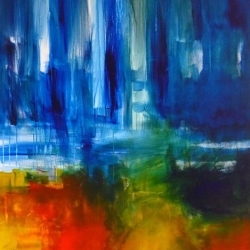 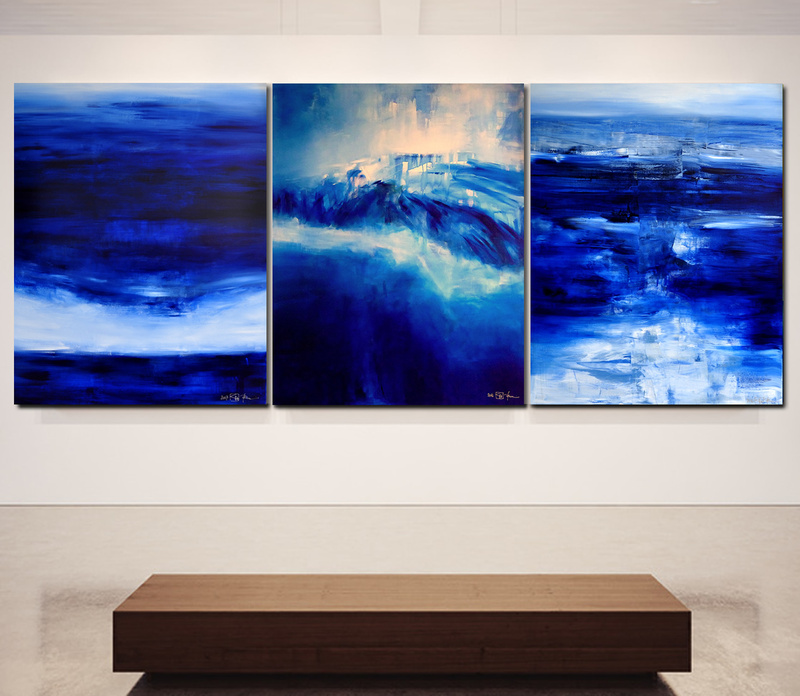 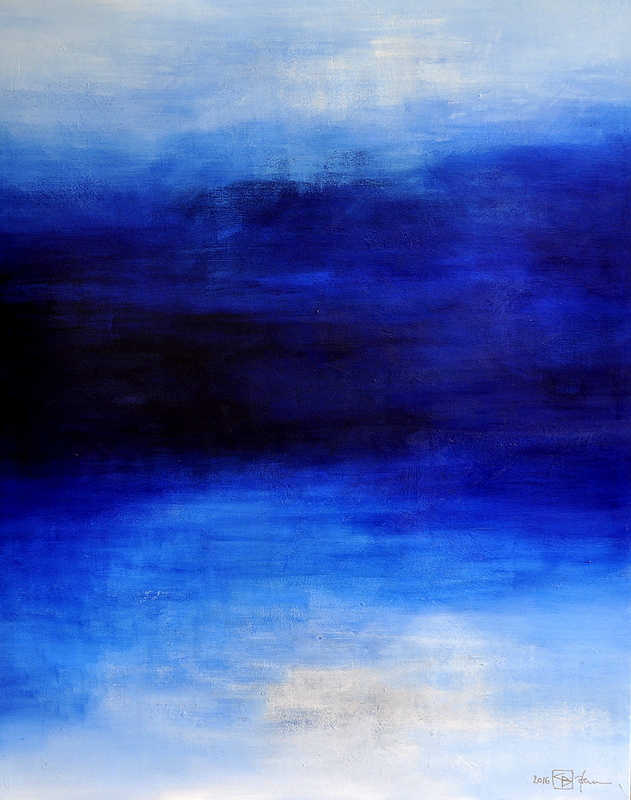 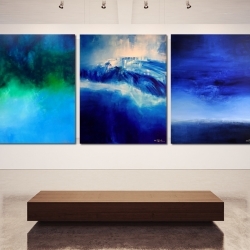 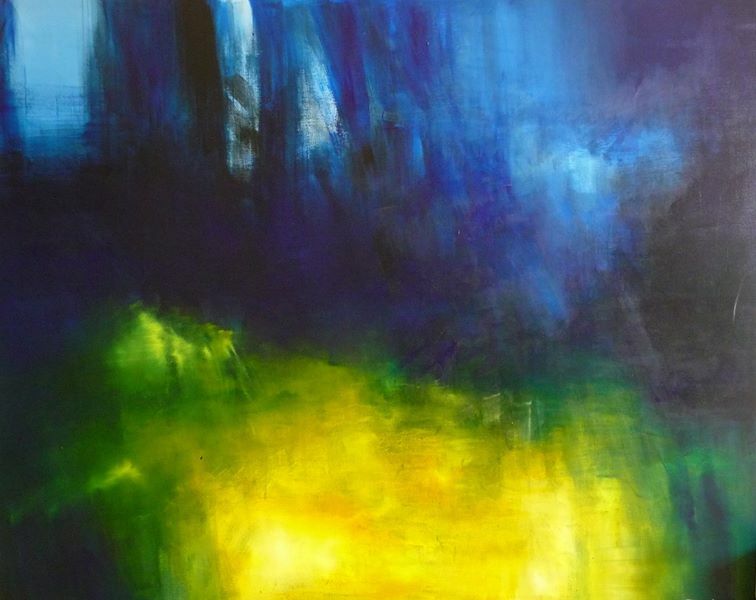 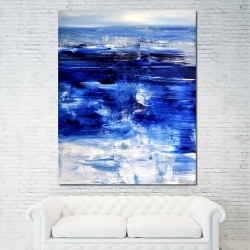 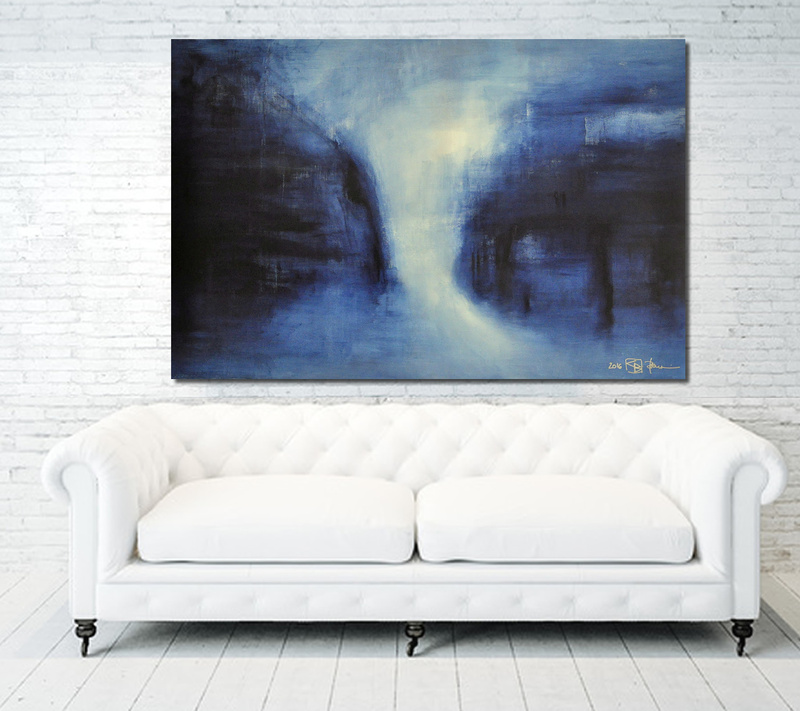 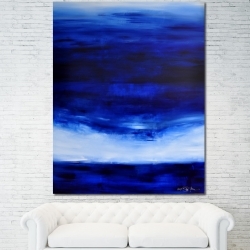 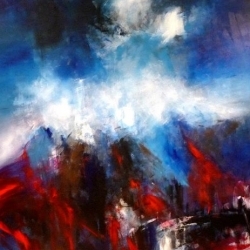 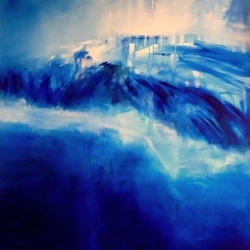 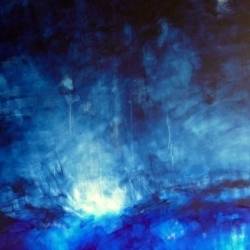 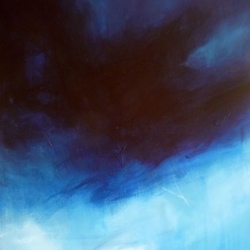 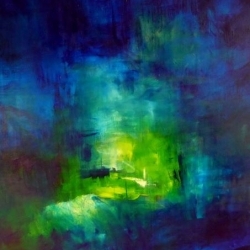 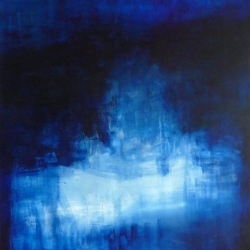 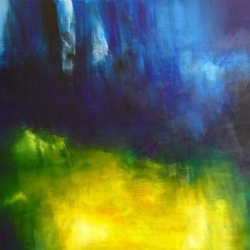 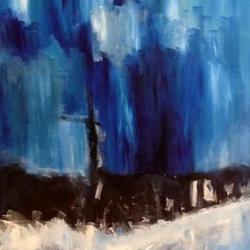 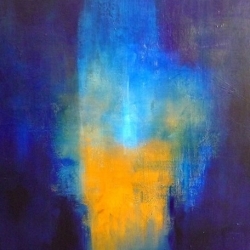 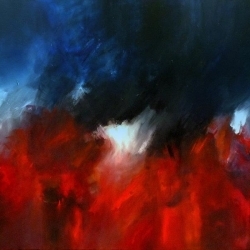 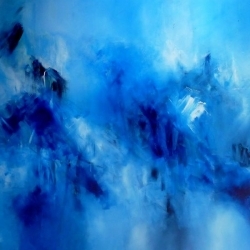 This series comprises all paintings with BLUE as central and dominant colour. 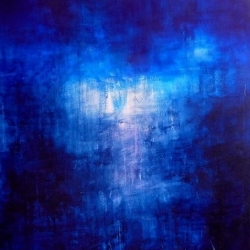 It’s not a blue phase, there is no temporal beginning and terminal point. 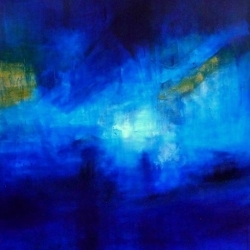 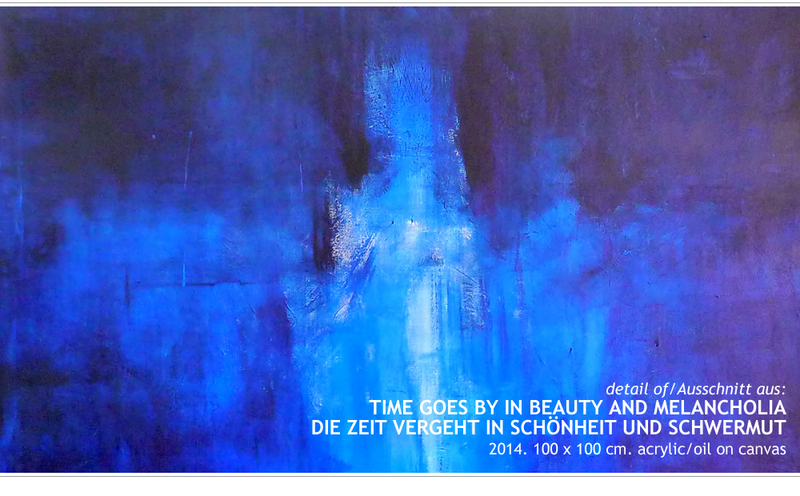 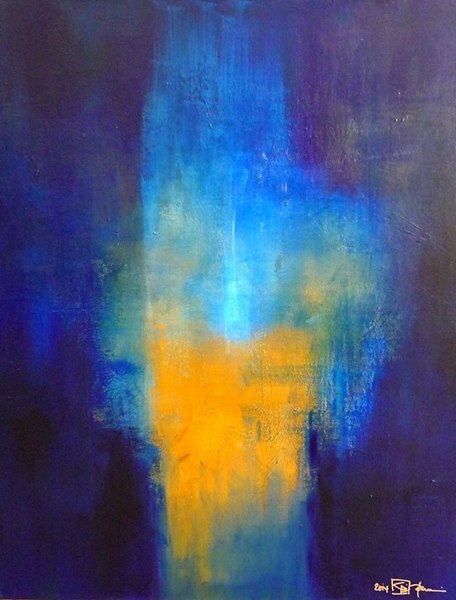 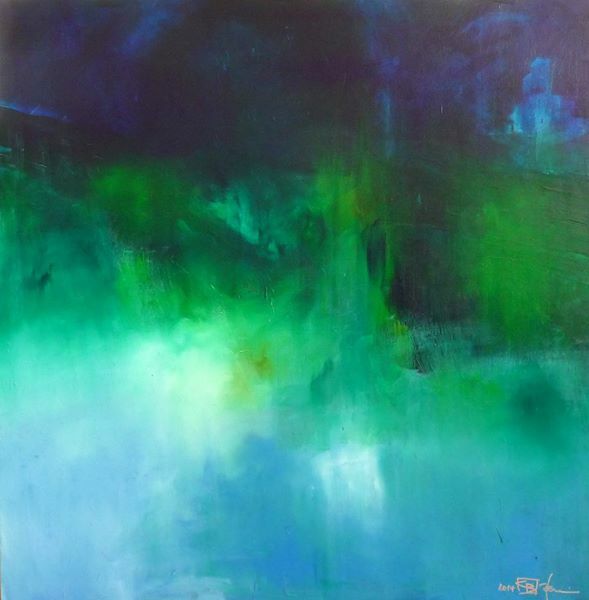 Blue was always present in my work and it is everlasting. 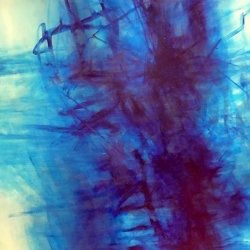 Blue in all different shadings and colour statements allures me. 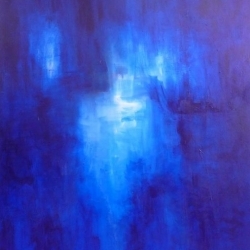 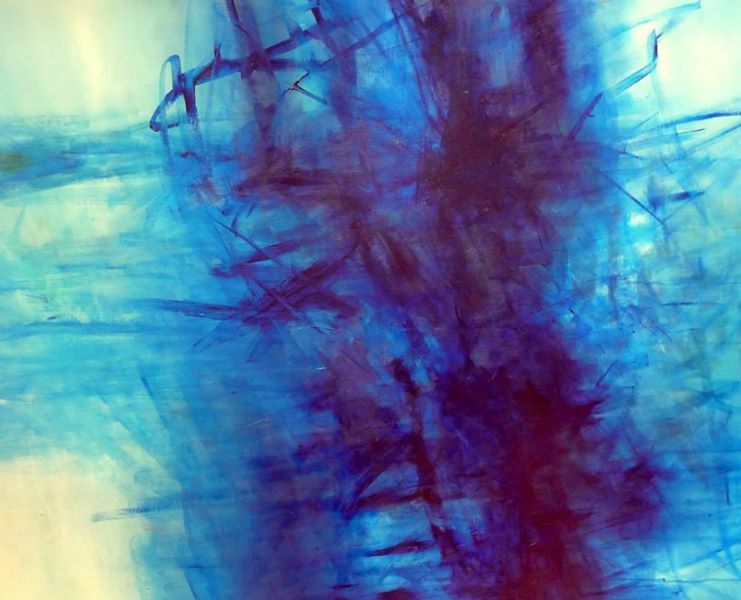 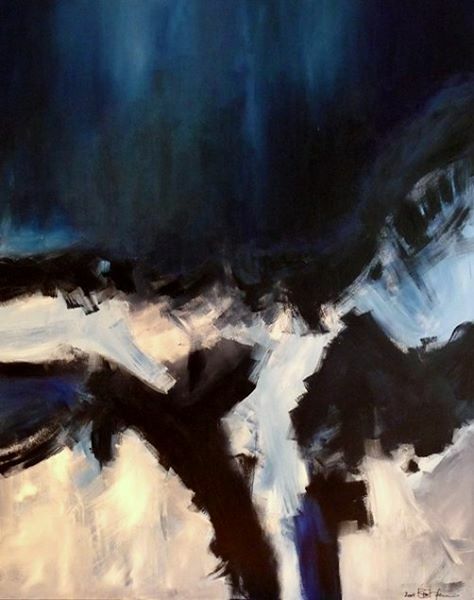 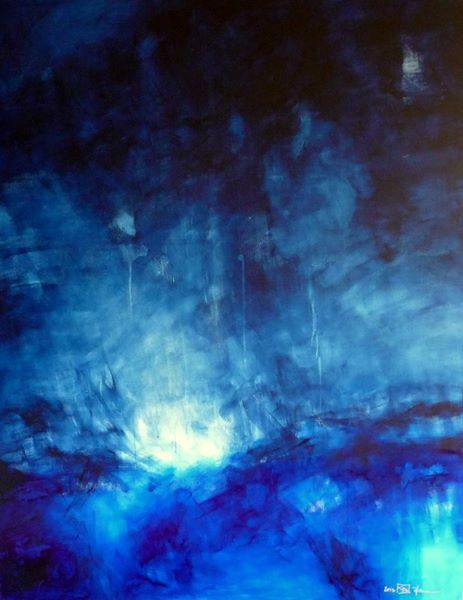 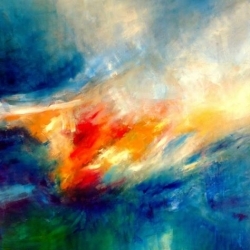 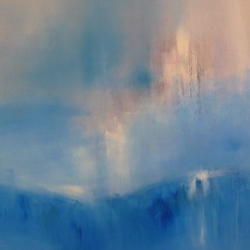 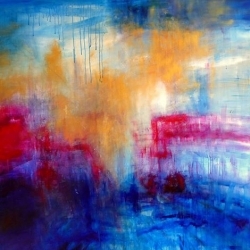 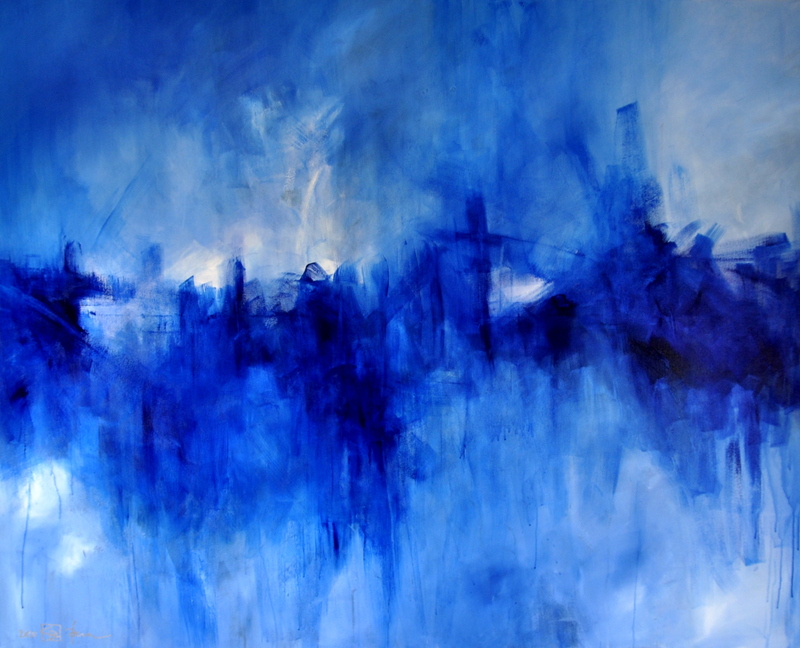 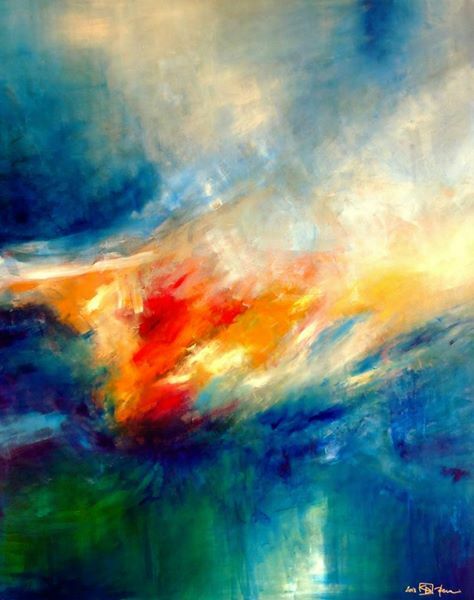 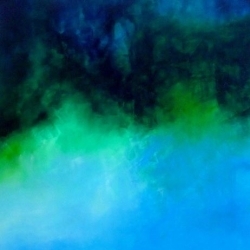 There are times when I have to fight against the dominance of blue in my paintings (but I’m not always successful). 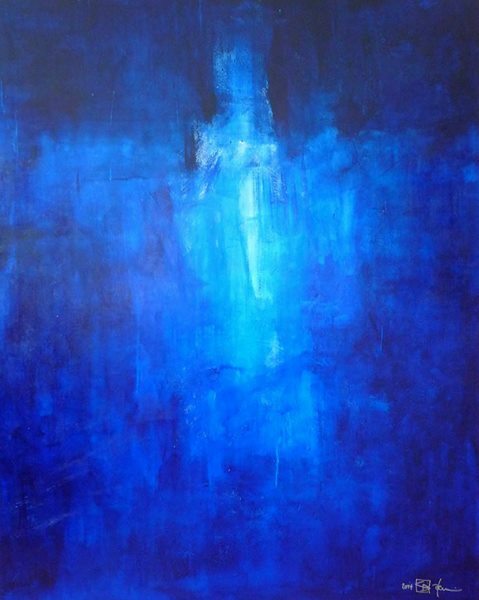 My personal blue has a large number of meanings: yearning, summer and warmth, wanderlust, clarity, deepness, abyss and distance, cold, rigity, loss. 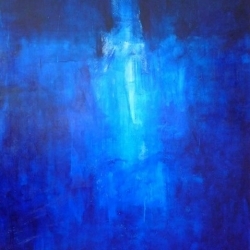 The conceptual context of the painting is always crucial for the message. 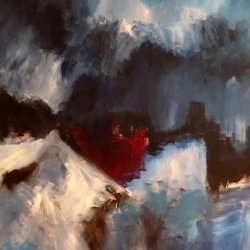 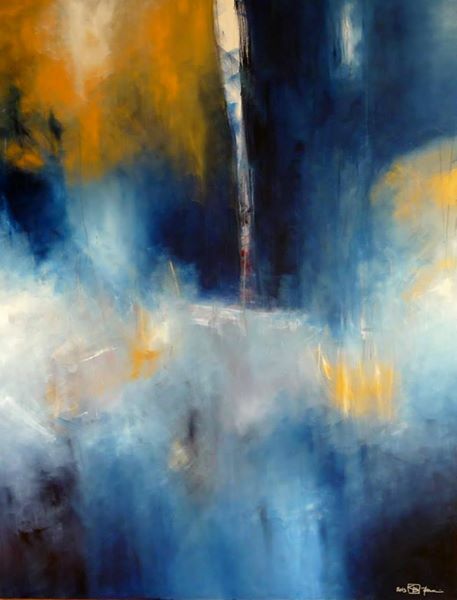 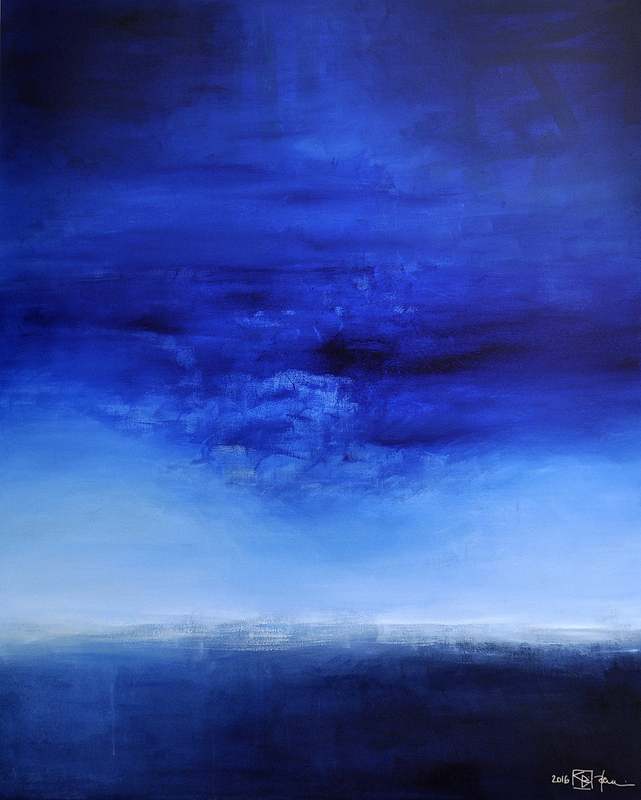 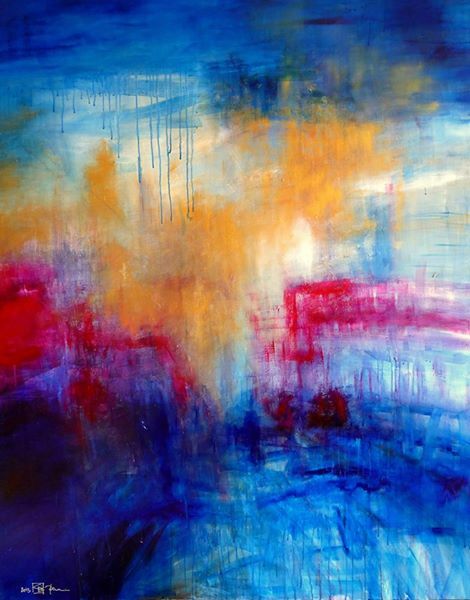 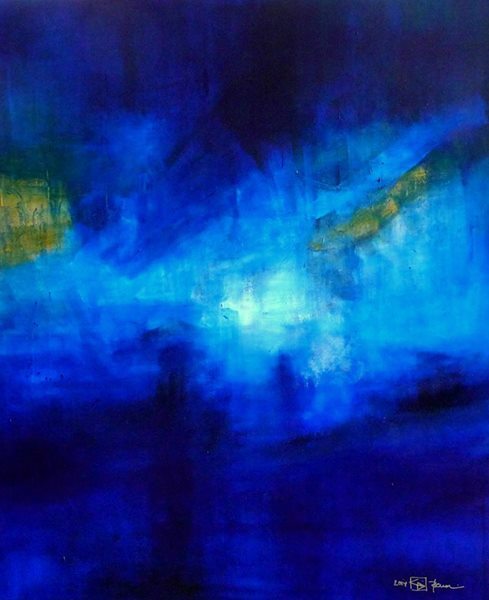 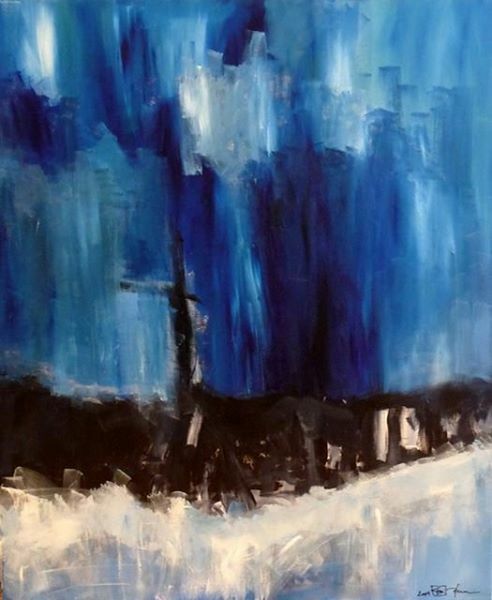 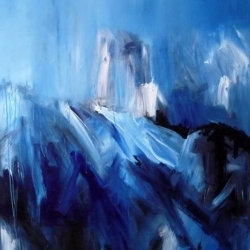 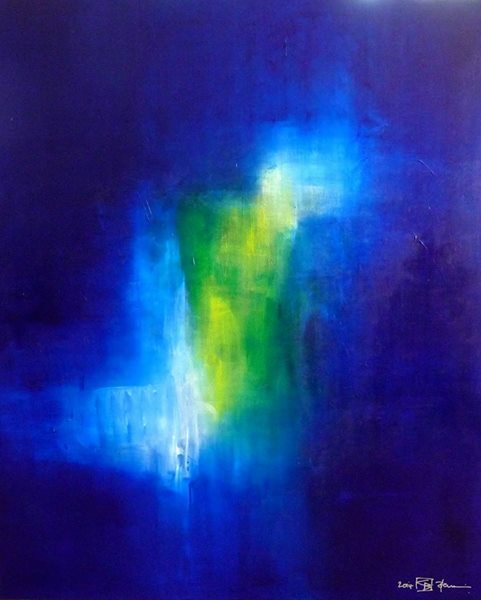 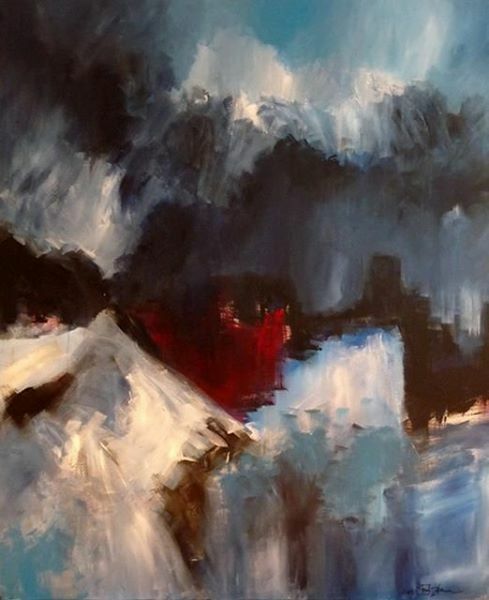 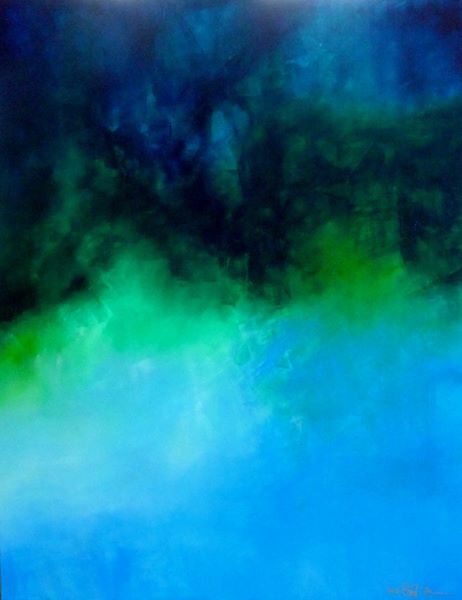 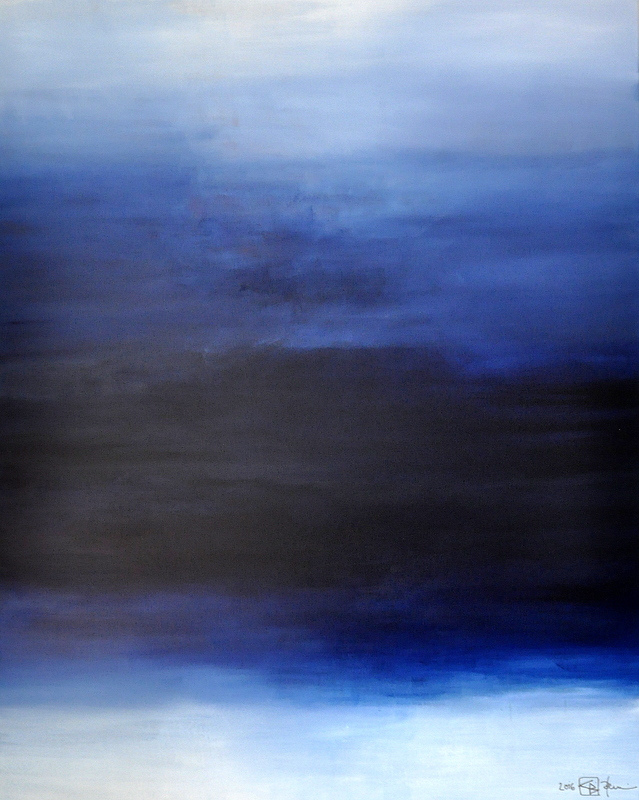 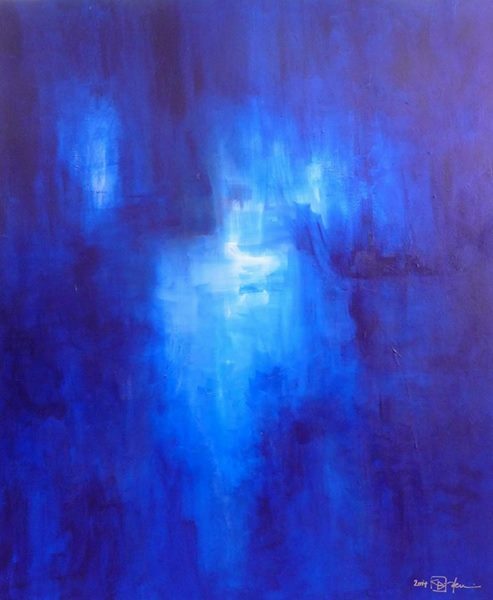 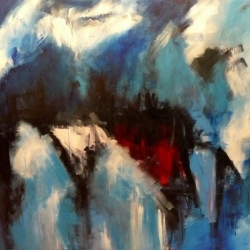 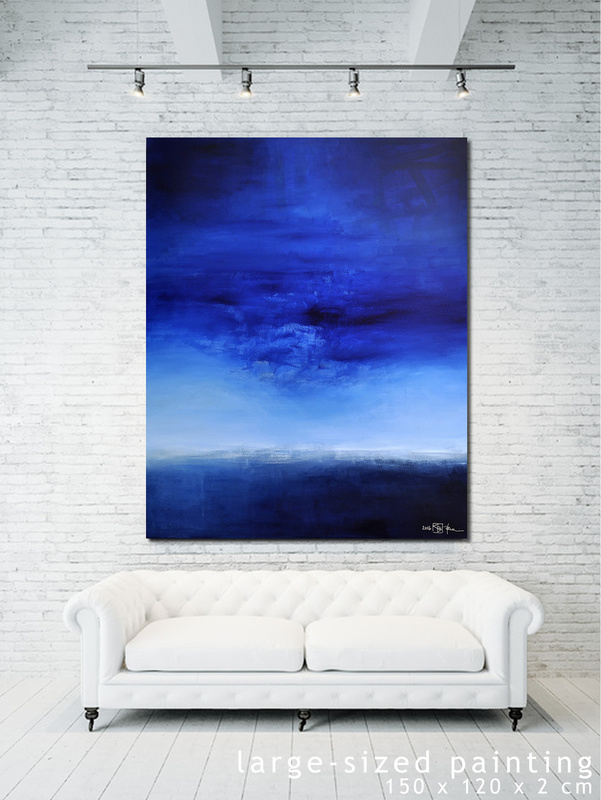 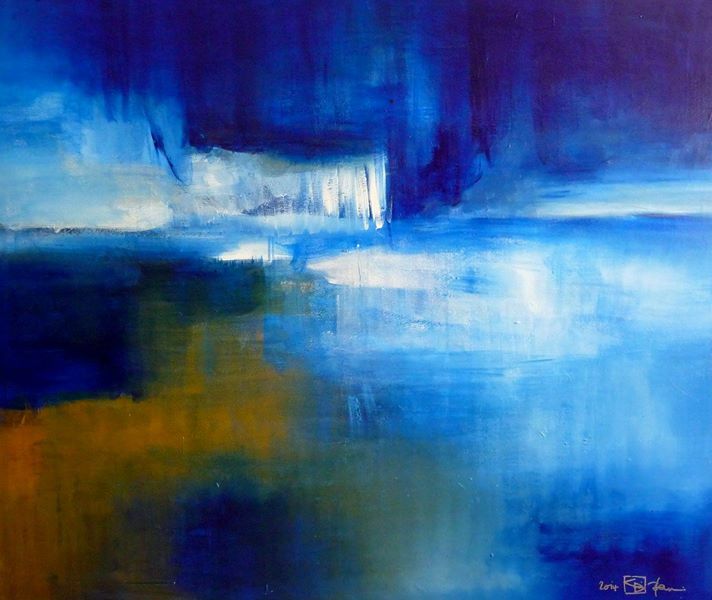 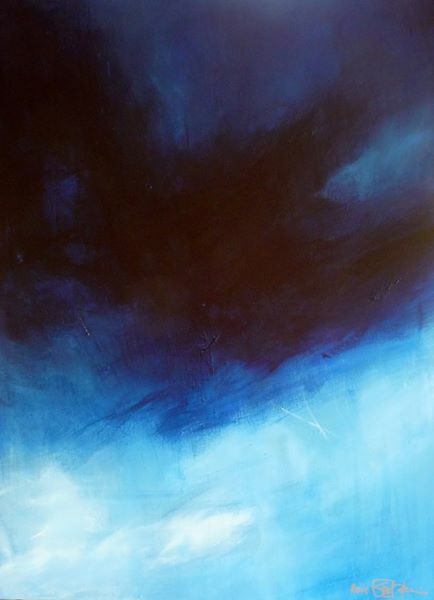 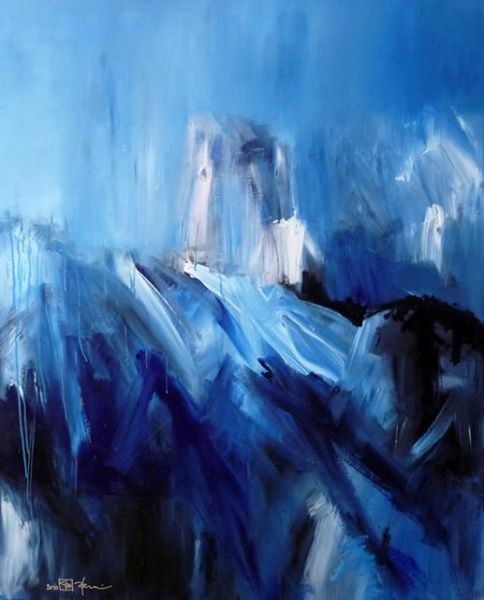 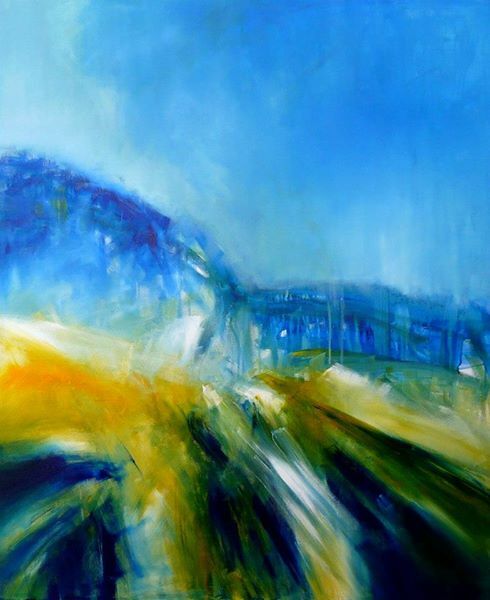 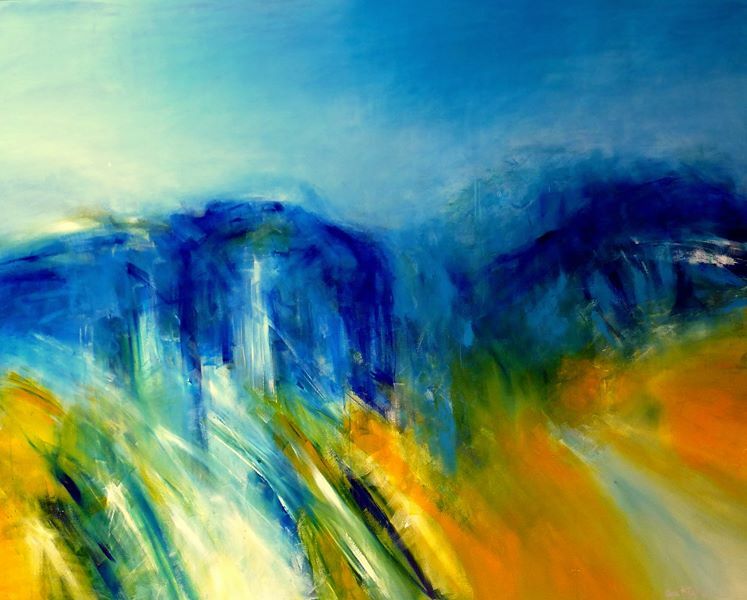 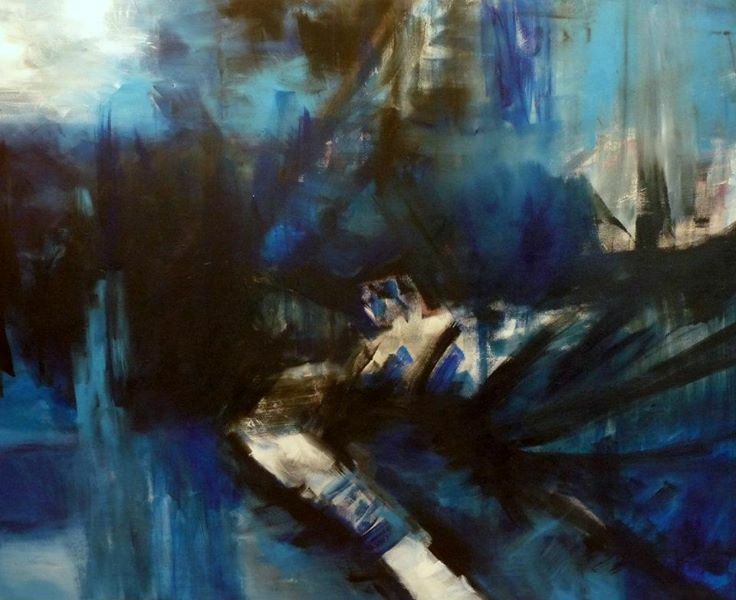 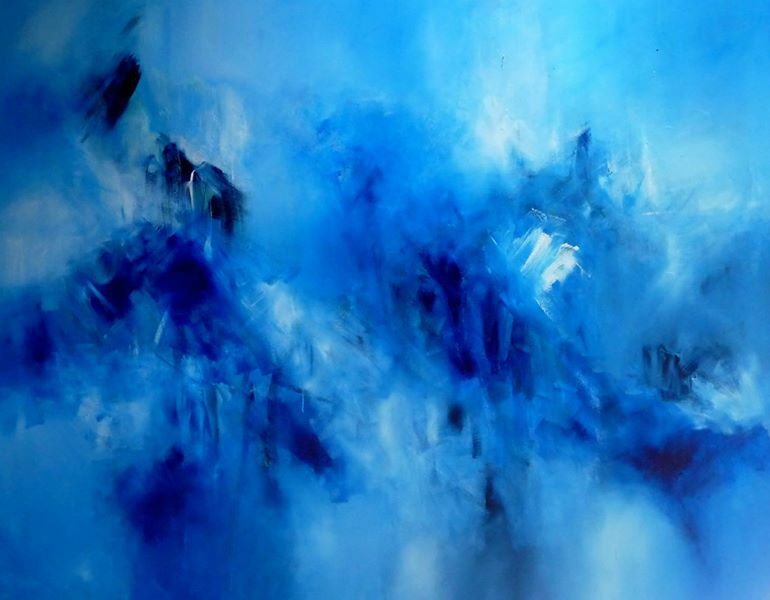 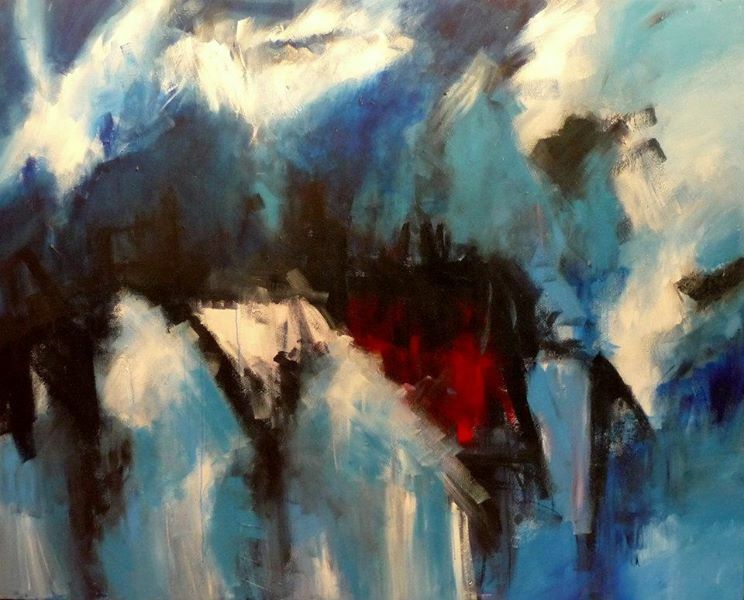 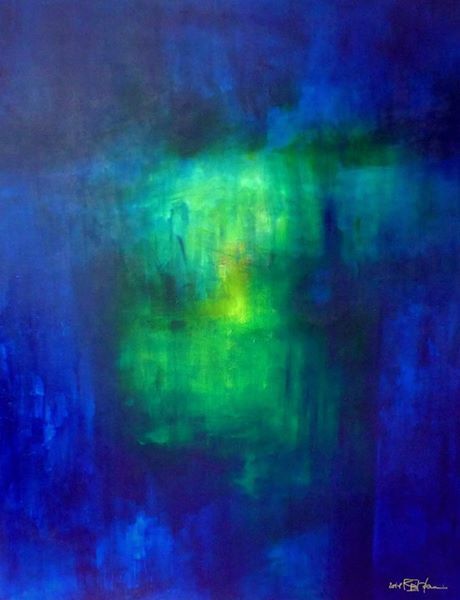 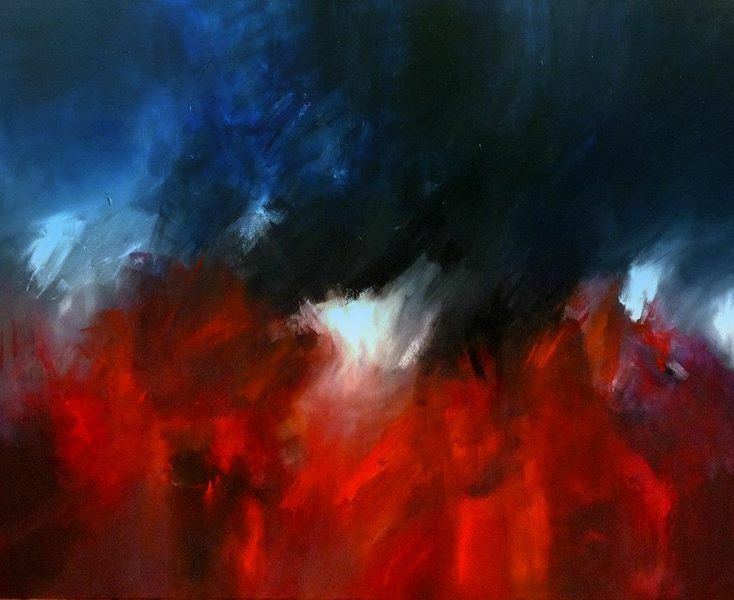 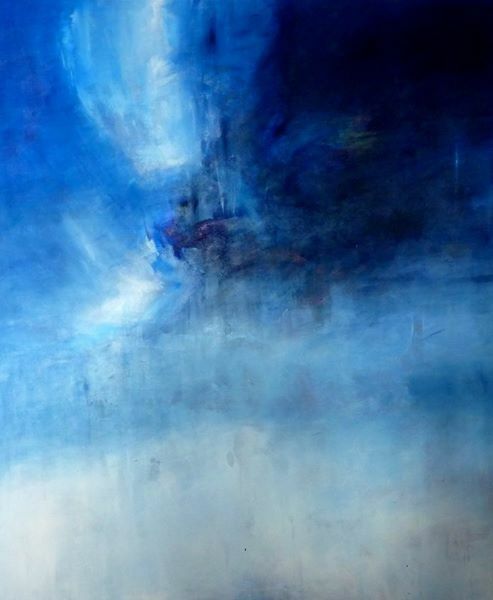 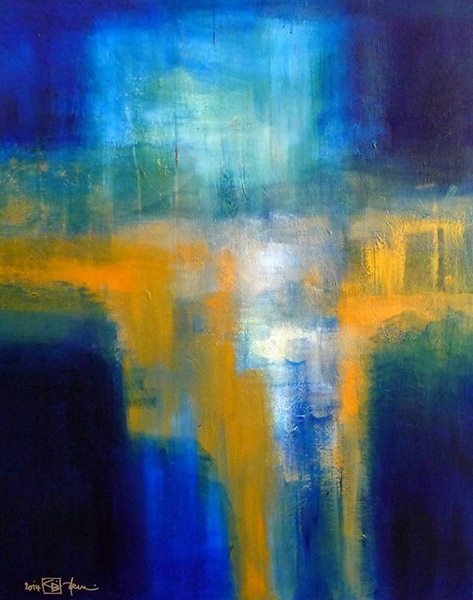 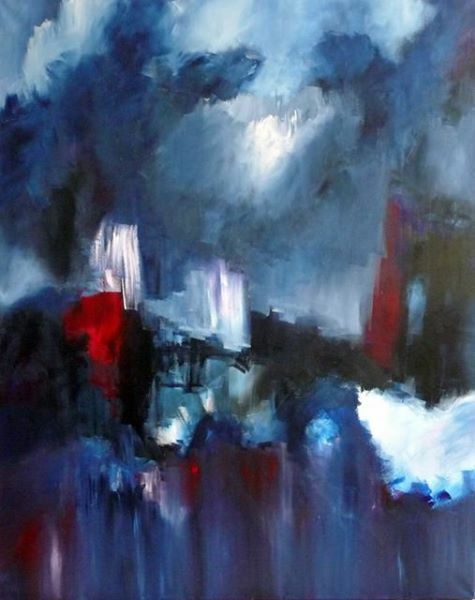 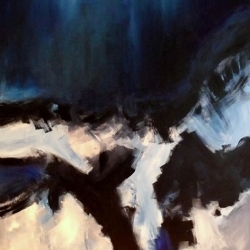 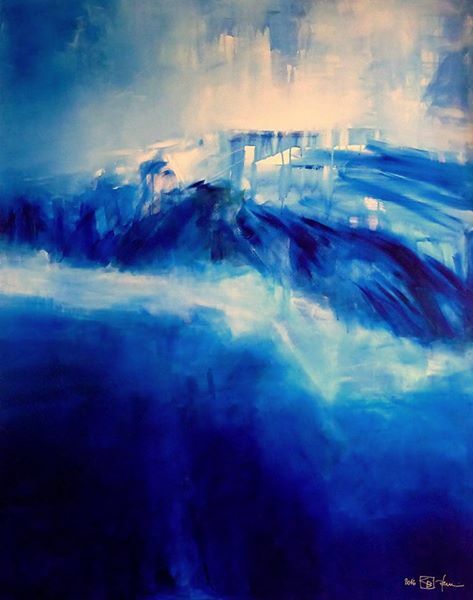 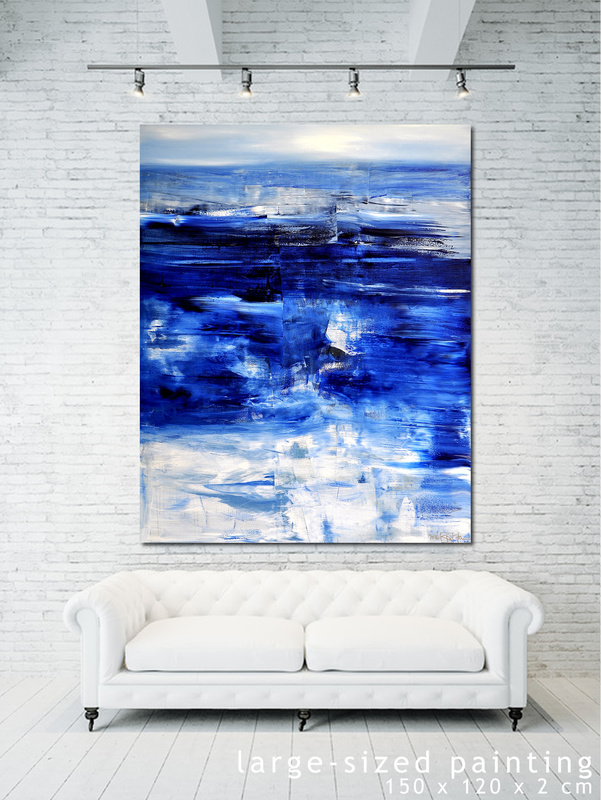 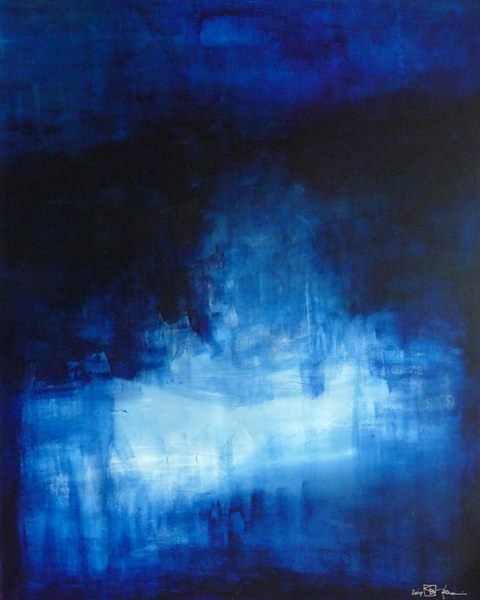 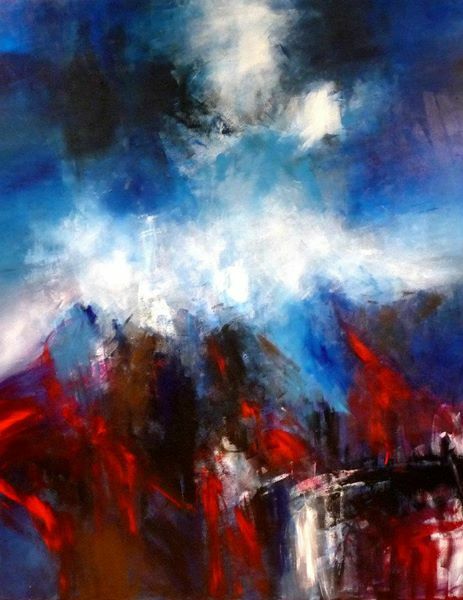 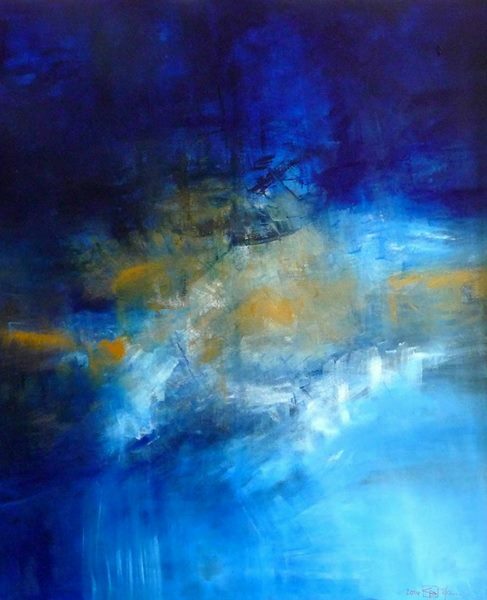 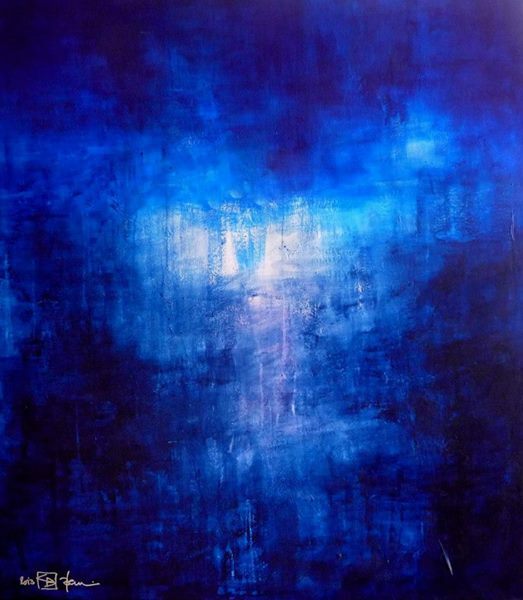 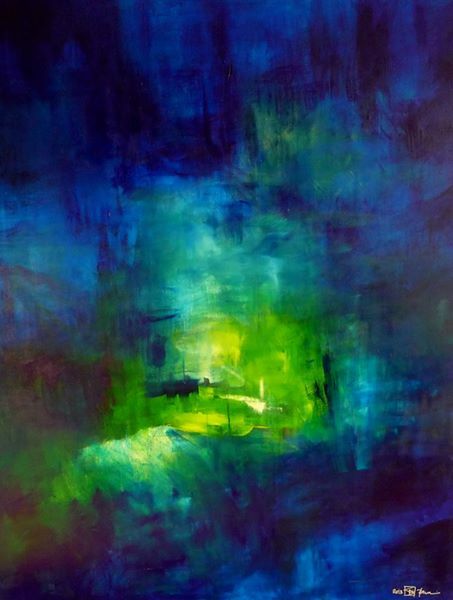 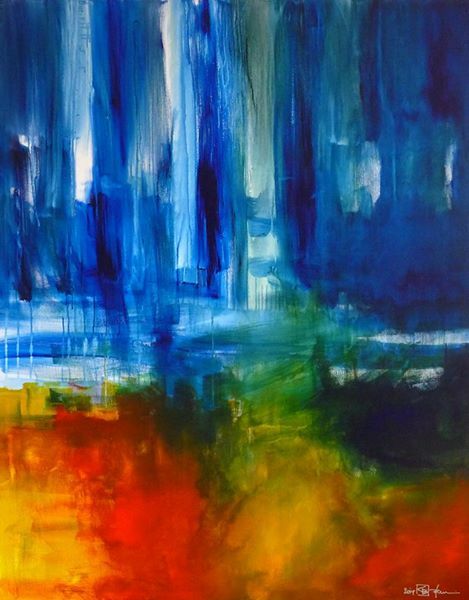 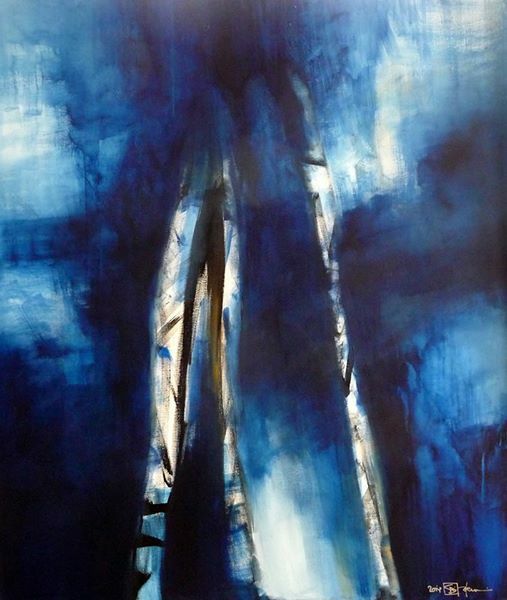 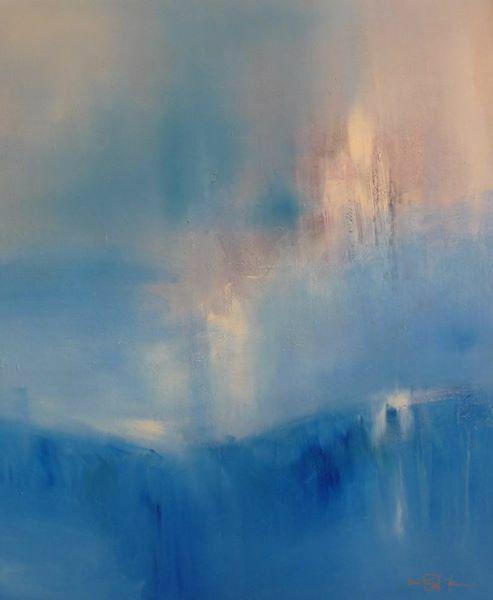 The manifoldness and the emotionality of blue fascinates me as a painter again and again. 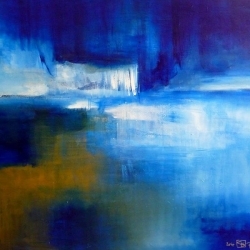 Blue is like a never-ending river, inspiration from the fountain to the water mouth and open sea.